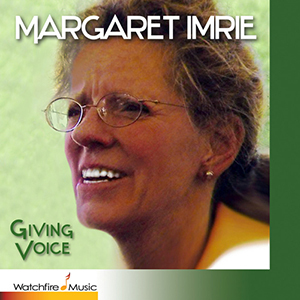 Giving Voice, produced by Peter Link, presents hymns and inspirational songs by soloist Margaret Imrie. The healing hymns may be familiar but Margaret’s delivery is compelling with a clear and beautiful diction. She recorded these sixteen stirring songs over twenty years in New York, Chicago, and San Francisco, her voice mellowing from soprano to alto in the process. Singing is her ministry, her calling, and listeners walk away changed.